This week has been nothing but bad news for the Blue Oval. The situation is starting to look grim at Ford right about now as it readies termination notices for thousands of employees and gives up its seat as one of America’s most longstanding and valuable automakers to a Silicon Valley newbie. That’s news that bean counters love to gobble up, but those not corrupted by the ways of the industry just want to know which American automaker’s muscle car is better than the others'. That kind of ranking is partially subjective, so we have see which car was democratically selected over the other to get a gauge. In other words, let’s take a look at the sales numbers. With a grand total of 8,737 US sales during April of 2017, this happens to be one of the rare months that the Camaro actually beats the Mustang. Ford only landed 8,063 Mustangs into US driveways during the same period, amounting to a 674 car deficit. 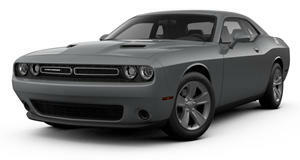 Dodge, which has never been much of a threat to Ford or GM in this segment, came in third as always with 6,591 sales. This victory is one Chevrolet needs to celebrate and enjoy. As analyst and Good Car Bad Car founder Tim Cain claims on The Truth About Cars, that’s because Chevy managed to pull it off with incentives that were 20% lower than last month (Chevy probably reserved the cash for the Corvette). The General also managed to beat Ford with less fleet sales, 20% compared to the Mustang’s 35% fleet bolstering. 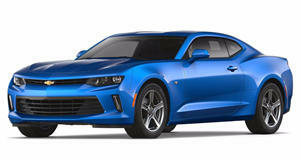 The Camaro’s average transaction price has gone up by $2,347 as well, probably aided by more special edition models being out. 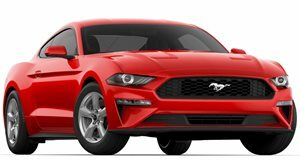 On the other hand, Ford isn’t doing too badly because even with a marginal loss in the US, it still sells the Mustang in more foreign markets, which has helped it eclipse the competition to become the world’s best-selling sports car. Ford is likely cooking up an answer to the current Camaro establishment, but for the time being, it appears that Chevy takes the W in the performance department too after announcing pricing for the ZL1 1LE. At least to some, the Mustang is still the better drive.